The Buddha called Vipassana the heart of his teachings. Also known as Insight Meditation this is the practice that connects all the major Buddhist traditions. Although mindfulness is often singled out in the modern Western context, the traditional texts describe a multidimensional approach flanking this mental tool by profoundly human capacities such as introspective awareness, single-pointed concentration, and the motivation of great compassion to bring to fulfillment the innate potential of all living beings. In this afternoon retreat we are going to look more deeply at each of these aspects, in discourse, discussion and by playfully trying them out for ourselves. 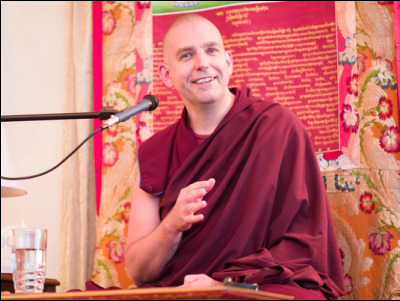 Venerable Losang Gendun is a Buddhist monk of Dutch descent and has been residing the past ten years at Nalanda Monastery in France. He was previously employed in the refugee sector and practiced Theravada Buddhism for nearly thirty years. 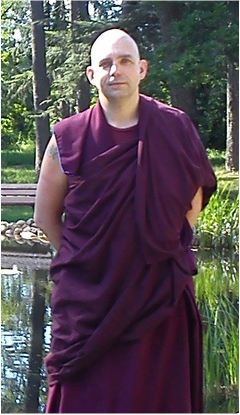 After having studied Buddhist philosophy for eight years at Nalanda, he is now engaged in long term meditative retreats.